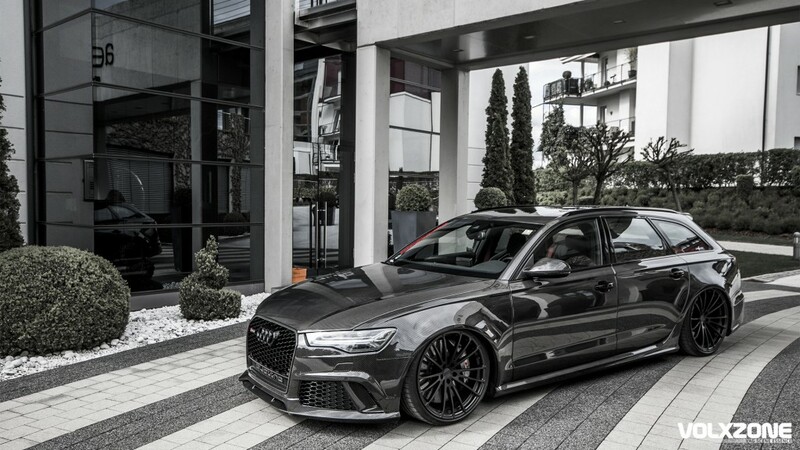 An Audi RS6 is the pure “awesomeness”. Seriously. Even more, when you have carbon in the blood and you shock the “VW Wörthersee Community” with a carbon fiber – customized suit. Behind the great carbon appearance some may suspect that it is a body foil, but that would be reprehensible in the eyes of the vehicle owner. And the guy sitting behind the steering wheel, has a very special opinion regarding carbon and “#Static”. “Let’s go the whole hog.” smiles Andreas Pfeffer, who is many others ahead, not only when it comes to carbon. 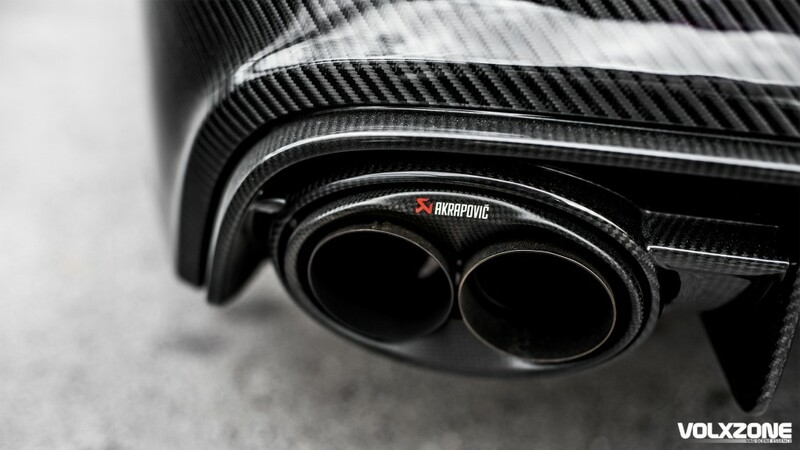 Just like at the Akrapovic Evolution Line titanium complete exhaust system with valve control and tailpipes made of carbon, also the complete body has several layers of carbon fiber. 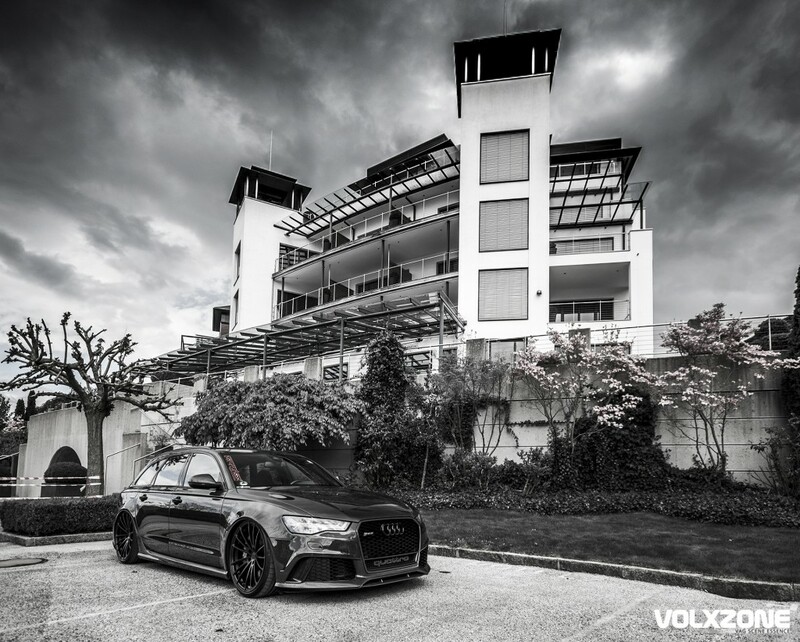 Together with Arpi Lakatos from RS Tuning / RS Carbon, the entire body was wrapped in carbon fibre. No matter if hood, roof, spoiler aprons, side flaps, diffuser insert; Audi single-frame grill frame, exterior mirror housing, roof edge spoiler and Co. really everything wears carbon. Awesome. Also inside there is a lot of carbon fiber. While the largest surfaces is the back rest of the two retrofitted Audi R8 seats. 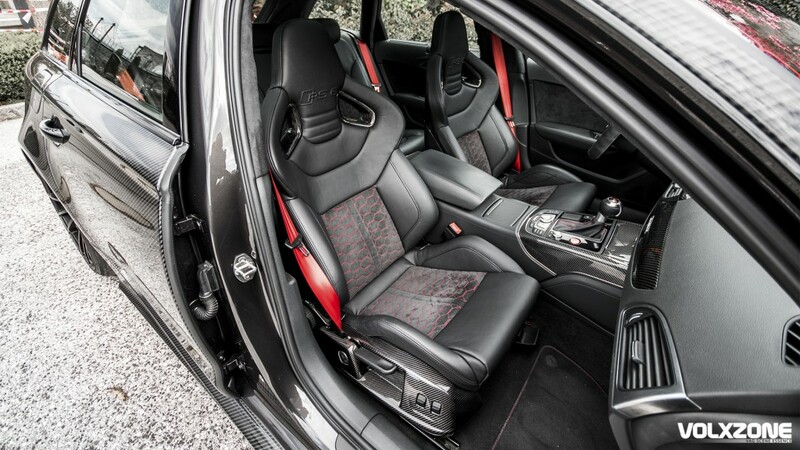 Even the seat consoles of the R8-seats are wearing carbon fiber, but actually the red topstitching and especially the red straps steal the show again. Additionally, plenty of Alcantara was used, for example at the ceiling, the door- and side panels and for the steering wheel. 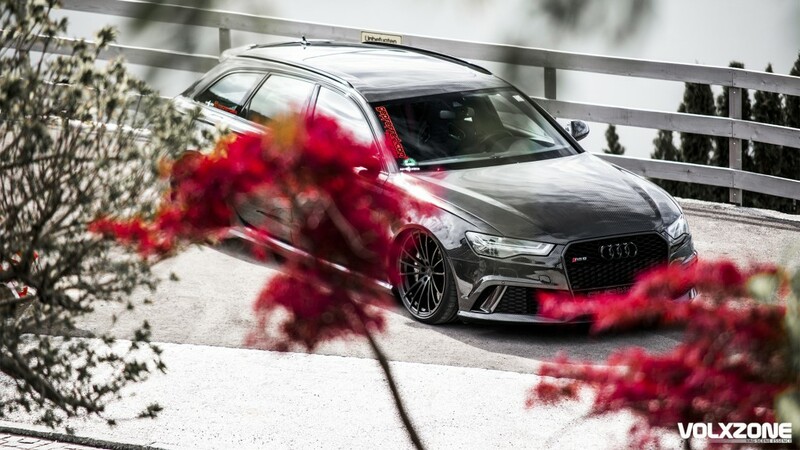 Behind the spokes of the OZ Ares HLT alloy wheels in 10,5 x 21 inches with its Continental tires in 265/30-21, an Audi high-performance eight-piston brake system with carbon-fiber reinforced ceramic discs catches the RS6 again, that was strengthened to approximately 752 hp. A lowered ride is ensured by a special coilover kit. This is a so-called “Gepfeffert Variant 3” coilover kit with HLS (Hydraulic Lift System). By the push of a button, the RS6 will be lifted via a hydraulic lifting cylinder by up to 45 mm, in case it gets too tight for the RS6 when entering a car park or driving over speed bumps. The Gepfeffert.com coilovers are exclusively available at Gepfeffert.com and its partners. Even the total price requests, orders and usually also the installation is made directly via Gepfeffert. The Gepfeffert custom made HLS can even be activated while driving, so you don´t have to stop in front of a speed bump to lift the body. Here you see our KW HLS in action in the vivid racing Porsche 911 Turbo (991).